Today, I drove past a school on my way home from work to see kids on the playground at recess. It feels as though August has just settled in, when really, it's almost past. I've only just got used to writing the number "8" before today's date. Before we all know it, we'll be welcoming September in. The best part about summer (because it is still summer, you know) is the fruit. 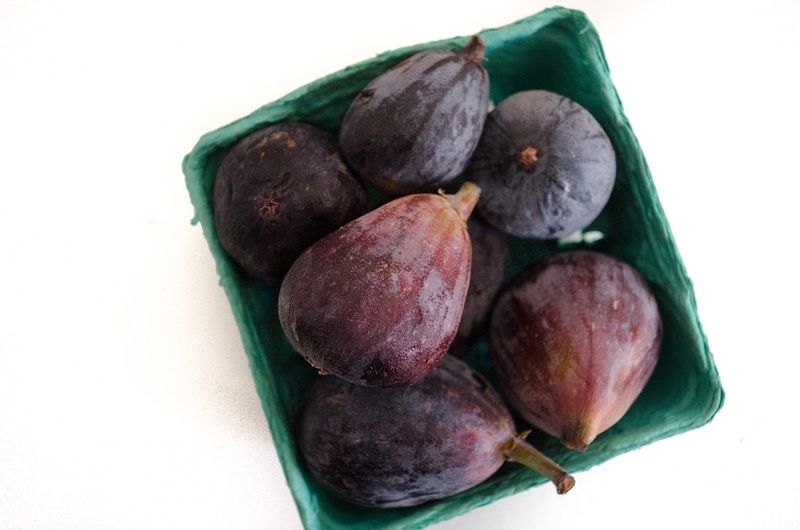 Right now, I'm head over heels for figs. Last weekend, I went to the local farmers market and purchased 3 pints of these lusciously sweet beauties. They're awesome with yogurt & granola, placed atop a summer salad, or even just eaten whole at 4am on your way to work (although, I'm pretty sure that's just me who's made a habit out of that). I would actually appreciate if the warm weather slowly weaned it's way out. It's been a crazy hot summer in Southern California. As you may have heard, our land has suffered from more than a few devastating fires. The Blue Cut Fire hit closest to home and is going to make for some sad drives to and from my hometown. It's been month's since we've had a rainy day and I'd be utterly grateful to see some grey clouds. I'd also appreciate some cooler nights, the chance to wear some fall apparel, and a hike that doesn't have me sweating 5 minutes in. Speaking of hikes, I recently found out about Outdoor Project, a site you should check out if you like to explore. 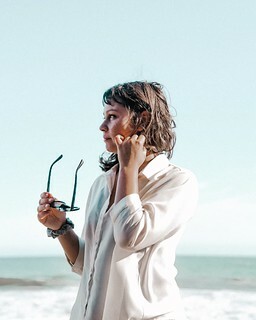 I've spent hours editing my to-do list and finding new places to go. Research like this makes me extremely eager and prepared to pack a bag and go exploring; now all I need is the time. I'm also seeking a travel pal, so please let me know if you are interested. Lastly, I'd like to start a new thing where I leave you with a song or album I've been listening to. This week, I'm really feeling Samadhi (So Far Away) along with almost every Racing Glaciers song there is. Below you will find an intimidating list of ingredients and steps. Don't cringe! 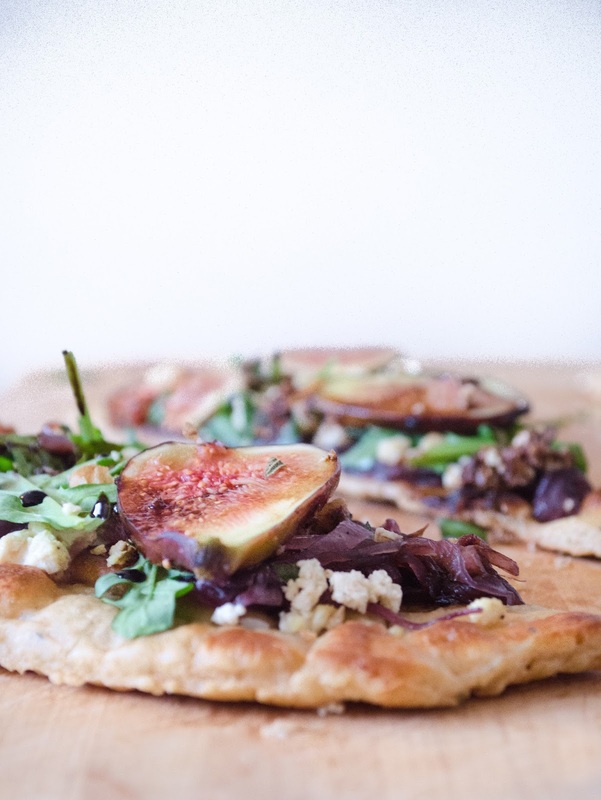 I made this flatbread after a workday and it was actually quite easy. The secret is having the dough (and even the ricotta & balsamic glaze) made a day in advance and stored in the refrigerator so it's ready when you are. 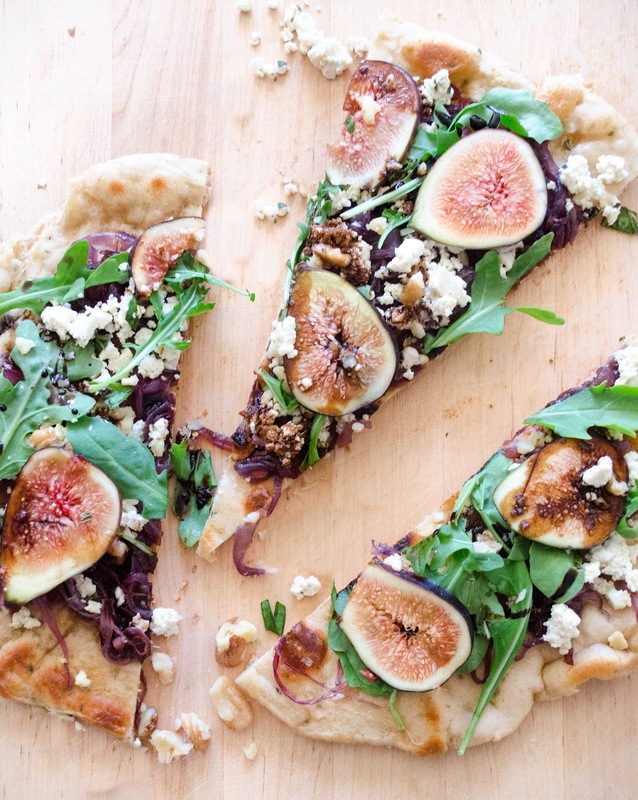 Start by making the flatbread. In a small bowl, whisk together the yeast, sugar, and water. Set aside for 10 minutes or until the yeast is foamy and activated. Meanwhile, combine the flour, garlic, rosemary, and salt in a mixing bowl. When the yeast is activated, add it to the dry ingredients with the olive oil. Use an electric mixer fitted with a dough hook to mix the dough for about 5 minutes or until a smooth, elastic dough forms. If you don't have a mixer, knead the dough by hand for about 10 minutes. Then, form the dough into a ball. Grease a bowl with 1 teaspoon of olive oil and coat the dough in it. Set the dough in the bowl and cover with a damp towel or plastic. Leave to rise in a warm place for 1 hour. After 1 hour, when the dough is doubled in size, cut the dough into 3 even pieces. Let the separated pieces of dough rest, covered with a damp towel, on a clean countertop for 30 minutes. Roll the dough into flat (1/8" thick) circles. Coat the bottom of a skillet with olive oil (about 1 tablespoon). Transfer the rolled out dough into the pan and cook for 1-2 minutes on low-medium heat. 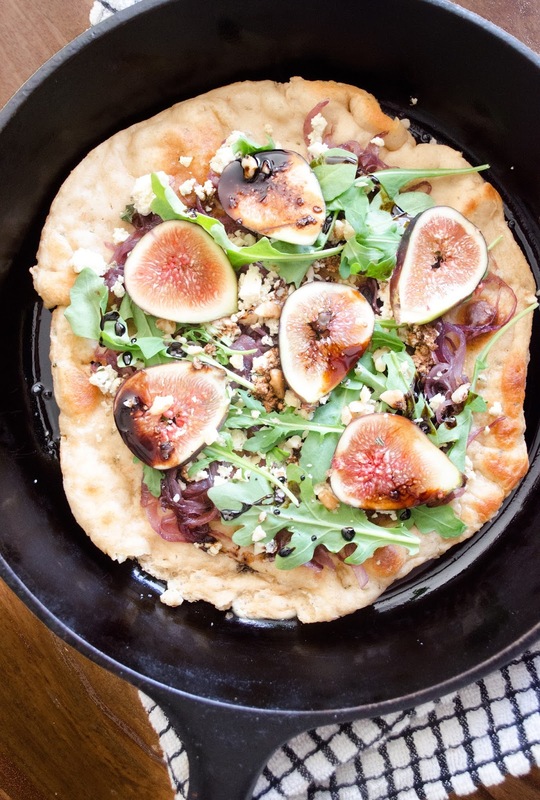 Once the bottom is cooked and lightly golden, flip and cook the other side of the flatbread. Make the vegan ricotta while the dough is rising. 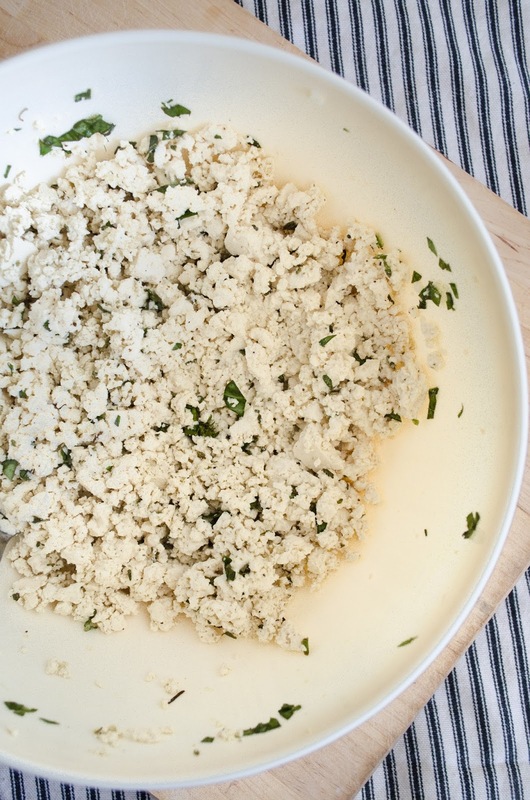 Drain the tofu and place it in a large bowl with the garlic, olive oil, lemon juice, nutritional yeast, and herbs. Use a masher or a fork to crumble the tofu and combine the ingredients. Cover and refrigerate until ready to use. To caramelize the red onions, cut the onion into thin slices. Heat the oil in a skillet over medium heat. Add the onions, sugar, and salt; stir to coat. Stir the onions every 5-10 minutes until they are dark and caramelized. This will take a total of 30-40 minutes. 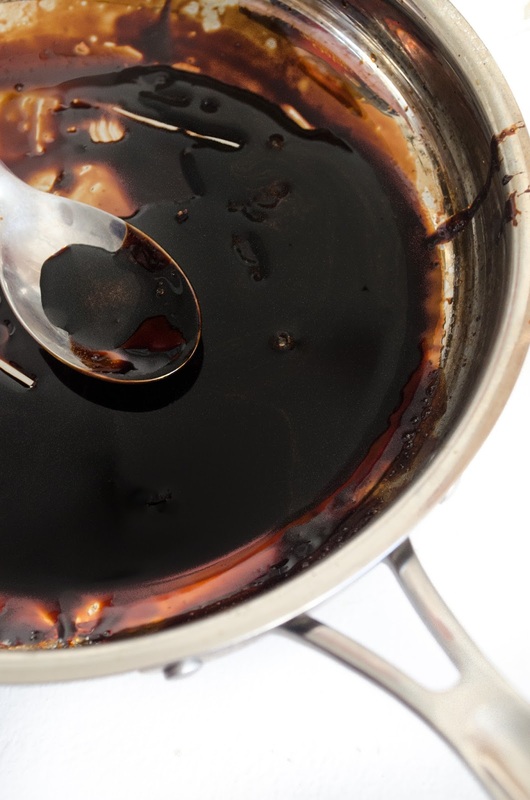 Make the balsamic glaze by heating heating 1 cup balsamic vinegar in a skillet over medium heat. Reduce the vinegar halfway down until it is thick enough to coat a spoon (about 10 minutes). Stir in the maple or honey and set aside. 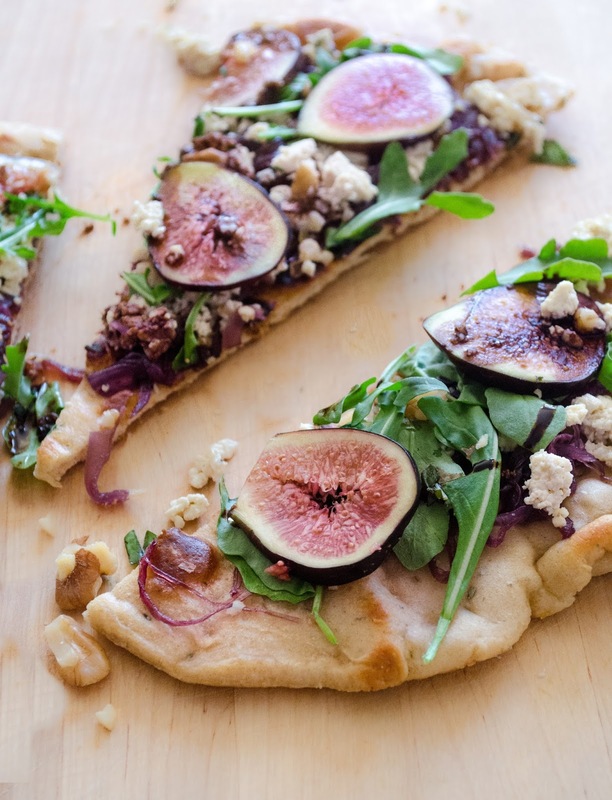 Once the flatbread is cooked and your toppings are prepared, top with vegan ricotta, caramelized red onion, figs, arugula, toasted walnuts, and a drizzle of the balsamic glaze. Lastly, enjoy! Vegans don't eat honey, so perhaps you could substitute something else in the glaze? Thanks! Thanks for pointing out my error! You can surely use maple syrup in place of honey. I just went in and fixed the recipe to include that!